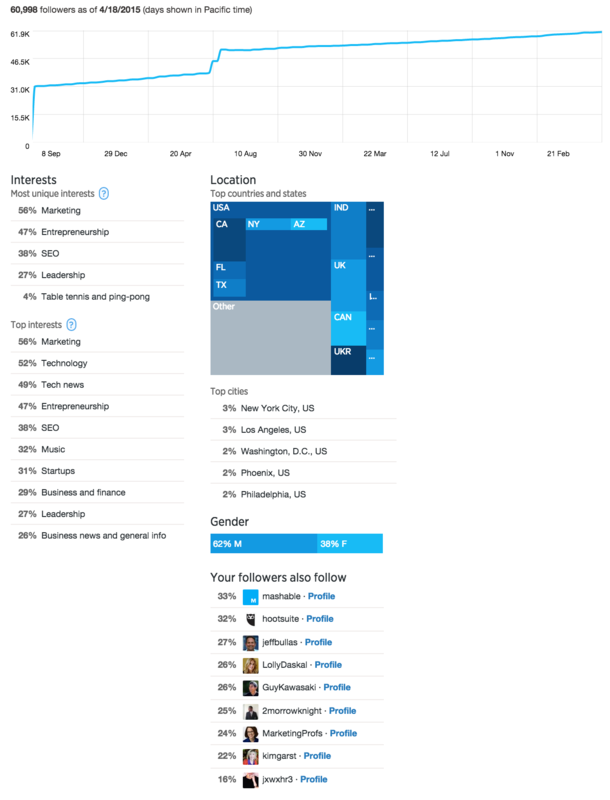 Twitter offers their own analytics platform that provides valuable information about your audience and engagement on Twitter. 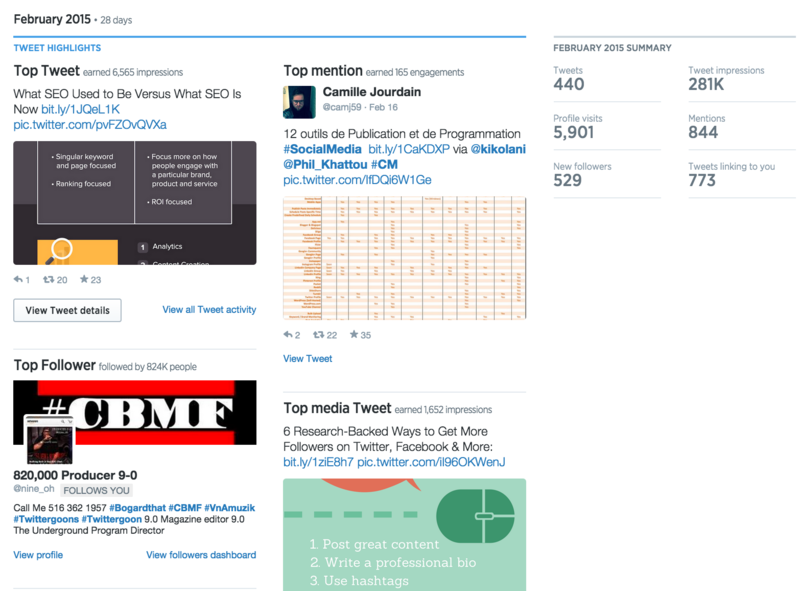 For those that have Twitter Cards installed on their website, detailed metrics will be available on the Twitter Cards screen. We’ll discuss Twitter Cards further in the Advanced Twitter Strategies section. You’ll also find details on your most effective Twitter Cards and links, plus influencers that drove the most traffic to your website through their Tweets. 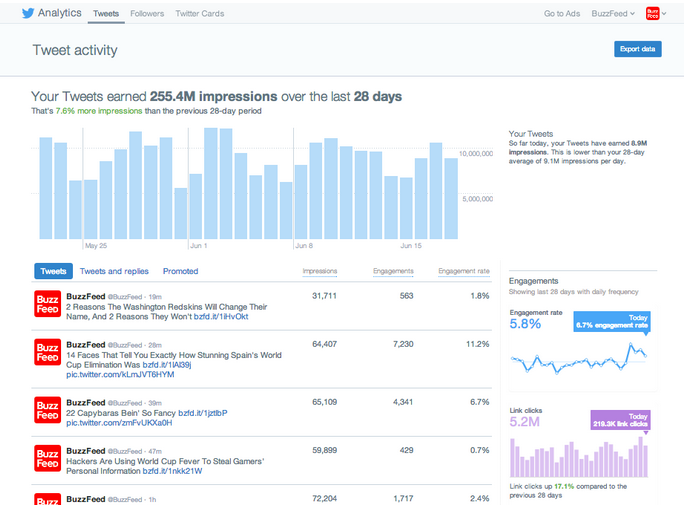 Be sure to review your Twitter analytics regularly to stay up-to-date on the audience and engagement growth for your account. 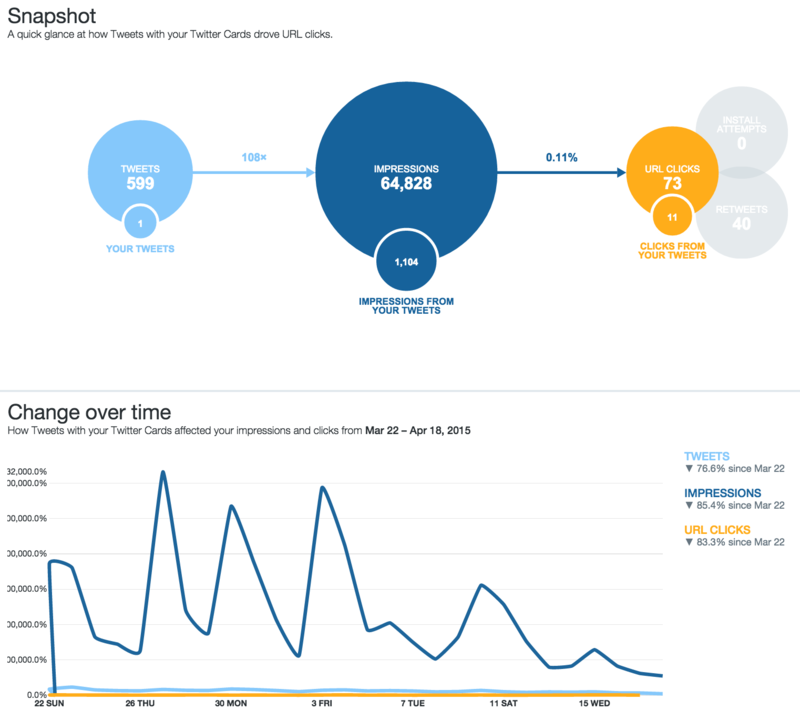 Want to find out if your organic or paid Twitter activity is leading to conversions (sales or leads) on your website? Find out using Google Analytics. If you have a Shopify store, you can setup Google Analytics conversion tracking. For everyone else, you can follow the instructions on the Google Analytics Help Center. Once you’ve set up conversion tracking with Google Analytics, you can go to your website’s Google Analytics profile and click on the Social Conversions report under the Acquisitions section in the left sidebar menu. This report will show you the conversions (sales and leads) you receive from your social media traffic, broken down by network. The conversions from Twitter will be clearly marked, but other conversions from Twitter that happen through social media management tools like HootSuite will be harder to identify. This report can help you determine whether your time is best spent on Twitter or another social network. If Twitter isn’t the leader on your conversions report, you may wish to choose to focus more of your energy on the networks that do lead to more conversions, or you may wish to re-analyze your Twitter marketing strategy to see if there are ways you can improve your conversions.